I download the Adobe Edge Preview a week ago but I did not make any time to look at it until yesterday. Edge is a program that will make Flash like animation’s with only CSS3 and HTML5. The tool is so easy to work with I was able to build this within 30 minutes. I think this program is briliantly done that anyone can work with it and can actually make very nice animations! 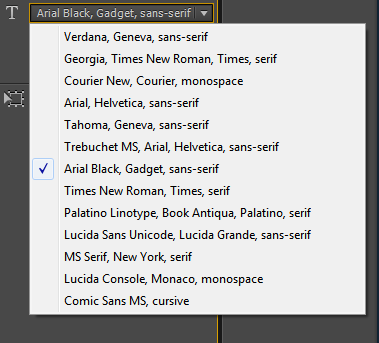 One downside though is that the amount of fonts are very limited. This might me changed in the final version of the program, however this is just speculation. A way of solving this is of course the use of pictures. However that will make the animations a bit more processor intensive. I’ve got another idea about an intro for my website, instead of the sliding/fading in of text I will make words fall from the top and will bounce till they have found their spot. Will post this when ready!